It’s never too early to start planning for Spring Break. 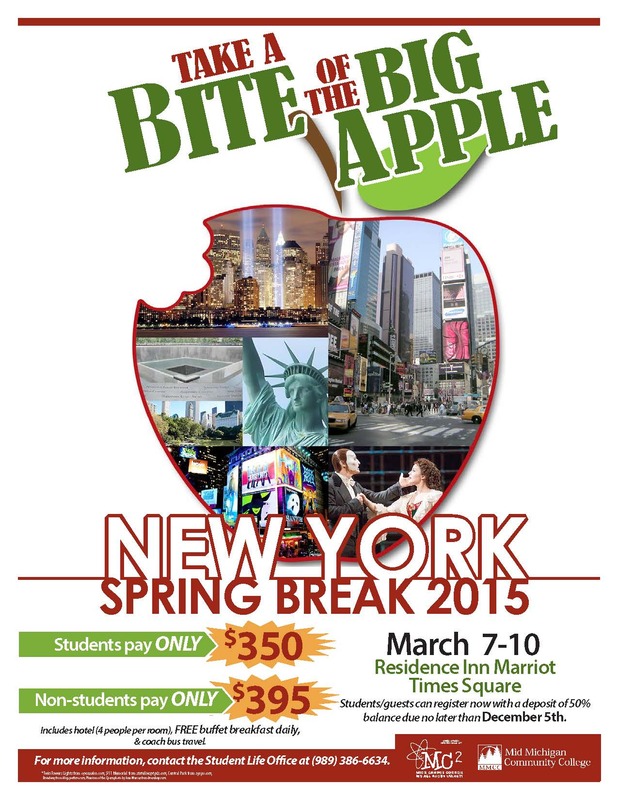 This year’s trip will be held March 7-10, 2015 and will take students and guests alike to New York City. Registration is now open and your space will be held with a 50% deposit. The balance is due by December 5, 2014. For more information, call the Student Life Office at (989) 386-6634.